No, they are entertainers who may be telling you only what their sponsors want you to hear. Denver design firm Urban Dwellers has selected The Stasko Agency as its agency of record. Additionally, Stasko has been retained to provide publicity services for Mountain States Employers Council and the Alexander Dawson Foundation. Mountain States is the region’s largest employer services organization, with 3,000 member employers, and the Alexander Dawson Foundation is a Las Vegas-based non-profit, which provides educational enrichment opportunities for high-achieving, public school students. Planning to watch the State of the Union tonight? 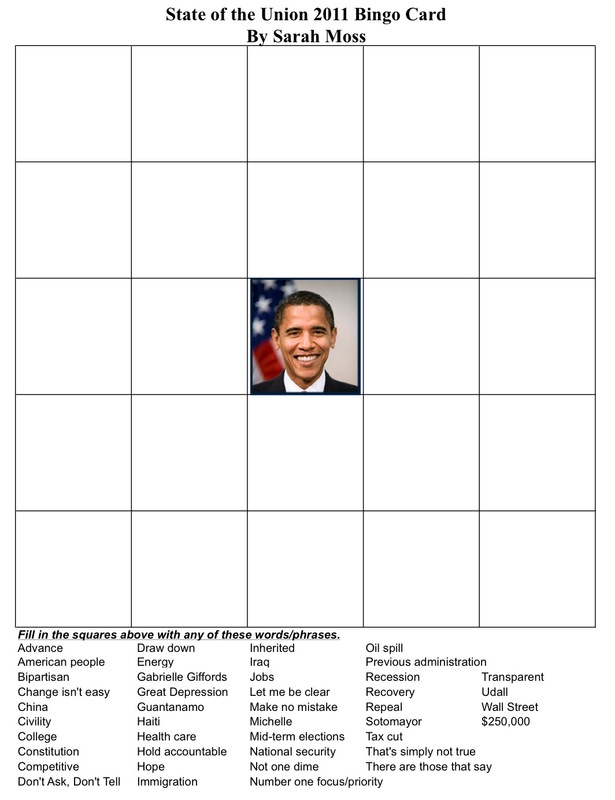 Download Sarah Moss’ SOTU bingo card. Cohn Marketing has selected three non-profit organizations from across the country to receive pro bono work as part of its “Power of 10” contest: Cancer Crusaders (New Orleans), Cat Care Society (Denver) and Empower Playgrounds (Provo, Utah). Congratulations to Faction Media, which has been named a finalist in the CableFAX Best of Web Awards for its website redesign work with Comcast Spotlight. In addition to being a finalist, Faction Media is the only B2B digital marketing agency on the nominations list. The winner in each category will be announced at the CableFAX Digital Awards in April. Among those hiring this week are the American Humane Association, AORN, Art Students League of Denver, the City of Westminster, CoBank, Colorado Rural Electric Association, Conergy, Coram, Great-West, Newmont Mining, Policy Studies, The SolutionPR and Traction Communications. If you dropped three-quarters of a million dollars on a branding project, would you expect more than a new font suggestion and a recommendation to standardize on a single, existing logo? And, if not, are you free for lunch sometime to discuss your other marketing needs?